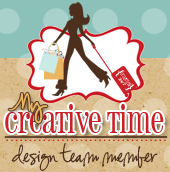 Welcome to another fabulous Scrapping the Little Things at My Creative Time!!! I can't believe summer is almost over! It went so fast! My kids are back into their routines and now we are hoping to find a nice preschool for my son. My kids said we did not do much this summer but I still have a bunch of pictures to Smash in our Summer Smash Book. If you are following my Summer Smash Series, I'm on video #14. If you haven't watched, please start here. Im so happy Emma has decided to make stamps and dies that go with Smashing and Project Life. Although I was using her products on my smash books before this Smashing fever! They really are made for any type of scrapbooking! I did manage to make another video. Here is a picture of the kids at our local museum. I just love Emma's journal dies! I am always trying to find ways to hide my ugly handwriting and this is perfect! Just tuck under a picture and your done! Thanks for stopping by today! Make sure to check out the rest of the design team for more inspiration. Big crafty hugs! Love your LO. You really did an amazing and creative job with everything and sure showcased your pics awesomely. I don't think your handwriting is ugly at all . I really like it. I think you have really great penmanship. You are just to critical of yourself but hey aren't we all. I love how you used all of Emma's goodies and your video is so much fun and packed with so much great info and ideas. So adorable! Looks like a really fun day, and all of your embellishments play it up perfectly! You always have wonderful embellishments that look great with MCT products. Super job.